Back of the envelope graph based on the prior NIH report and this(pdf) NSF report. 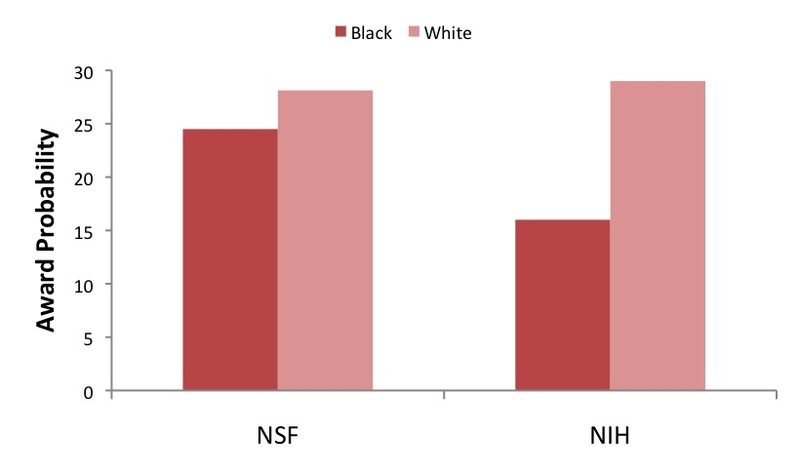 ← Racial Bias in Science Grants? Wow that is really noticeable. Maybe NIH should look at how NSF review panels differ from NIH ones to see how they can fix things on their end. Well. This is a bit surprising. Makes NIH look worse of course. But perhaps it provides an impetus to compare the two review systems as part of Collins’ next set of investigations. Woo! Very interesting…. very interesting. wow. that is certainly noticeable.